Sky News has learnt that British Steel, which directly employs 5000 people, is in talks with Whitehall about securing the emergency funding within weeks. Greg Clark, the business secretary, has been briefed about the situation. British Steel is understood to face a cash-flow shortfall as a consequence of the European Union’s (EU) decision not to allocate UK-based companies their usual permits under its carbon emissions trading system (ETS). Under the scheme, industrial polluters – which should have been awarded their permits last month – can use their allocation to pay for their previous year’s‎ emissions. However, British Steel is understood to have already utilised last year’s permits to fund working capital requirements, leaving it unable to pay for the current round of carbon credits. This week’s six-month Brexit extension is thought to have exacerbated the issue for the company because ‎without an imminent deal being approved by parliament, the UK would continue to be excluded from the ETS. 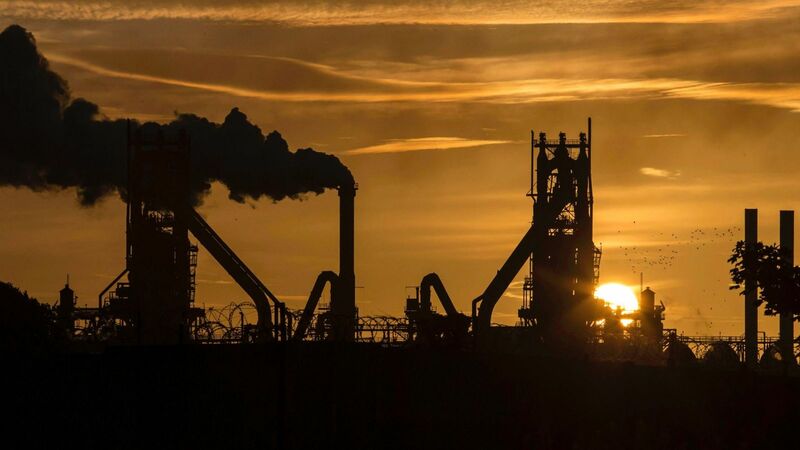 The government’s participation in the talks about providing financial support to British Steel is understood‎ to be being led by the department for business, energy and industrial strategy (BEIS), with the environment agency and the treasury also involved. British Steel has approached‎ officials about a short-term commercial loan, although other options are also thought to have been under consideration. A source expressed scepticism about the likelihood of such a loan being provided because of issues relating to state aid that would arise. Owned by the private investment firm Greybull Capital, British Steel has been revived from the brink of closure since it was acquired from the Indian giant Tata Steel in 2016. The company broke even in its ‎first year after Greybull’s takeover and has reported positive earnings before interest, tax, depreciation and amortisation in each of the last three years. Greybull is being advised by PricewaterhouseCoopers (PwC) on its search for new funding, while EY, another of the big four accounting firms, is advising the company’s lenders, which include PNC and ABN Amro. A source close to the discussions dismissed speculation that British Steel’s Scunthorpe plant could face an uncertain future as a result of the funding impasse. “There is no scenario where this creates uncertainty over Scunthorpe,” the source said, denying the suggestion that ministers had been warned that it could face closure. However, the prospects of the company securing a loan from commercial lenders in the next fortnight were dismissed as remote, meaning that it could face a hefty financial penalty from Brussels next year for failing to surrender its credits on time. In addition to the 5,000 people it employs directly, British Steel’s supply chain is responsible for a further 20,000 jobs. The company is the largest supplier of steel rails to Network Rail and its French counterpart, SNCF. It produces 2.8m tonnes of steel annually, meaning it ranks second in size behind Tata Steel, the owner of the vast Port Talbot steelworks in Wales. The company’s turnaround programme under Greybull’s ownership has involved cost reductions, more than £150m of investment in plant and machinery and a series of overseas acquisitions. British Steel is now reported to be pursuing further expansion through the potential acquisition of Ascoval in France. Earlier this month, the company promoted Gerald Reichmann, its chief financial officer, to chief executive. In a statement to Bloomberg News in ‎February, Mr Reichmann said British Steel had “robust plans in place to deal with the various Brexit scenarios including the change in carbon credit regime”. British Steel exports much of what it produces to Europe, meaning that Brexit-related issues have posed an increasingly pressing headache for the company‎ and its shareholder. “The reality is that this impasse is making the industry in the UK much less competitive,” said one insider. Last month, the BEIS select committee accused ministers of neglecting the steel industry by failing to unveil a sector deal as part of the government’s industrial strategy. The funding squeeze at British Steel is the latest problem to affect an embattled manufacturing sector in recent months. Much of the focus has been on the automotive sector, with job cuts at Ford and a decision by Nissan to abandon plans to build its X-Trail SUV in Sunderland. In February, Honda confirmed the closure of its Swindon plant in 2021, putting more than 2000 jobs under threat. Greybull‎ has a history of investing in troubled companies, including the airline Monarch, which collapsed in 2017. Greybull and British Steel both declined to comment this weekend, while BEIS did not immediately respond to a request for comment.